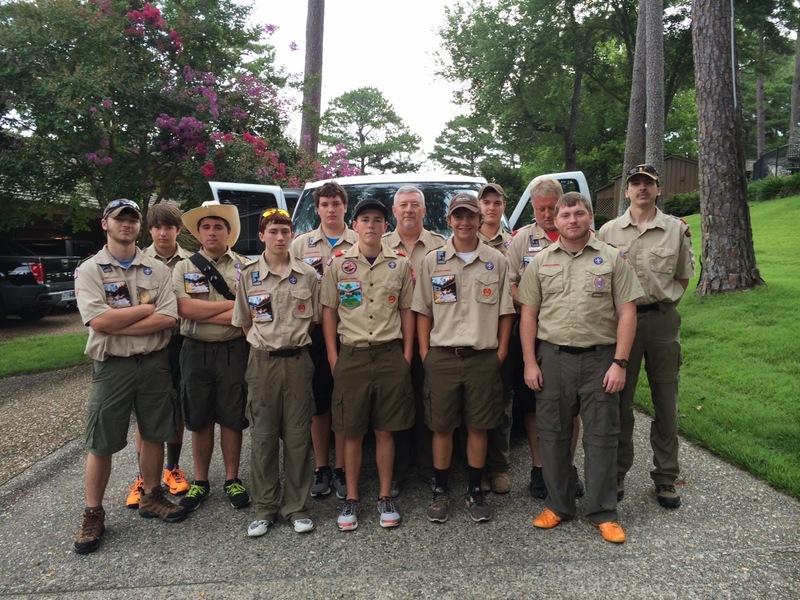 Five members of Troop 67 (Monticello, AR) are traveling with the DeSoto Area Council's 2014 Philmont Scout Ranch contingent. They arrived at Base Camp on Sunday, July 13th and after training will begin their trek Monday afternoon, July 14th. They will be hiking more than 74 miles and spending 10 nights on Philmont's backcountry trails. Philmont Boy Scout Ranch celebrated its one-millionth back county visiter on July 11th, 2014. For more information about Philmont Scout Ranch visit http://philmontscoutranch.org/. Troop 67 also has one scout with the DeSoto/Caddo Northern Tier contingent (http://www.ntier.org/). Philmont and Northern Tier are two of The Boy Scouts of America High Adventure Bases.